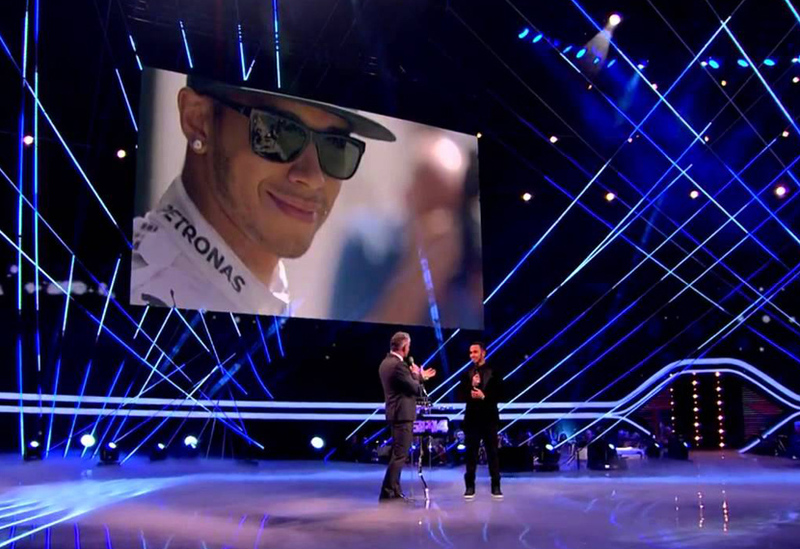 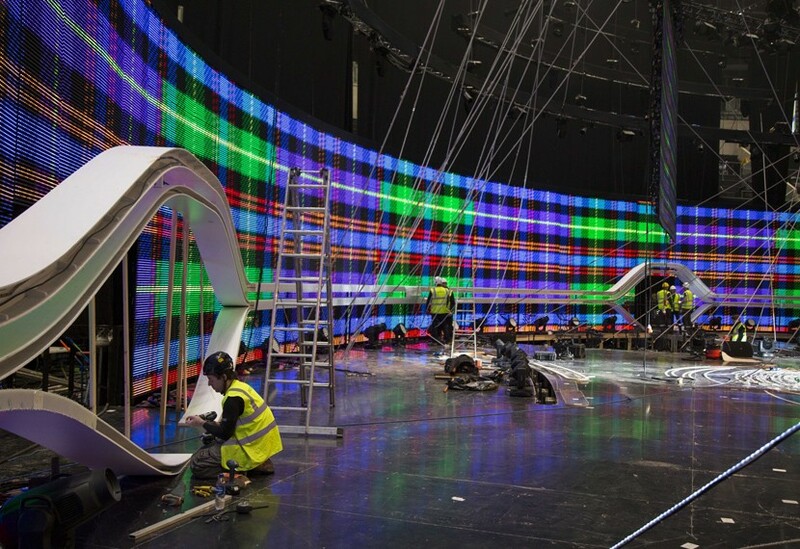 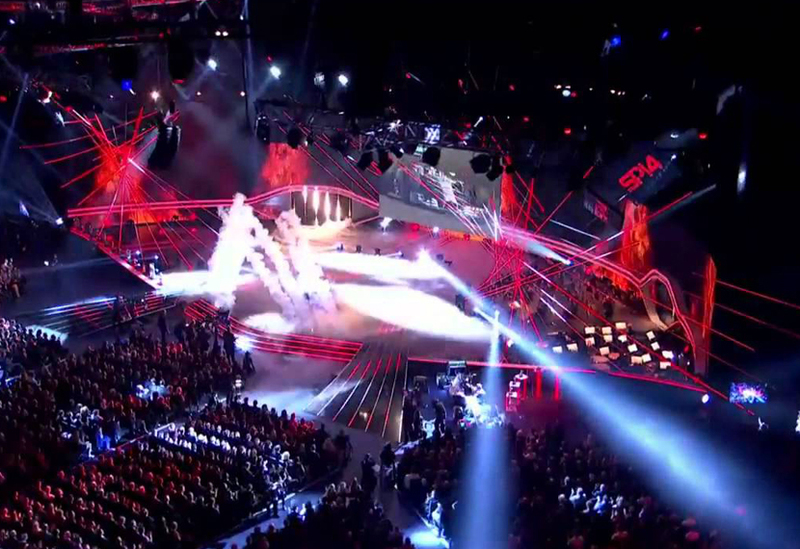 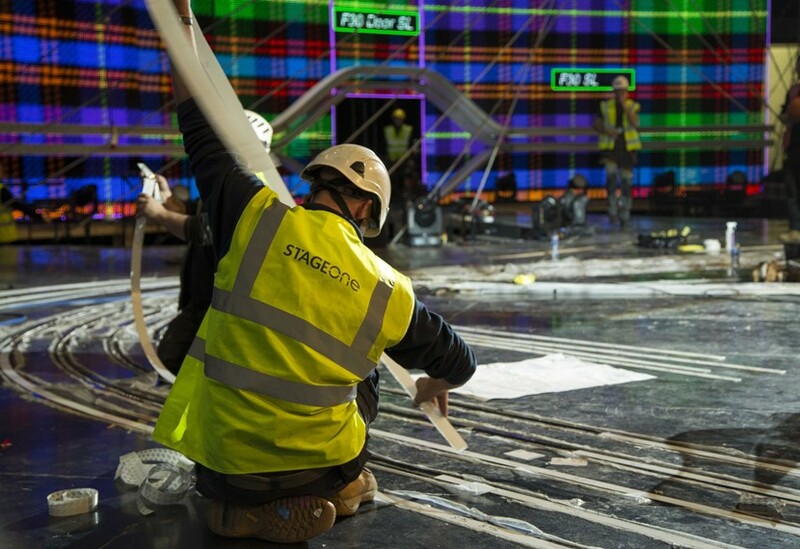 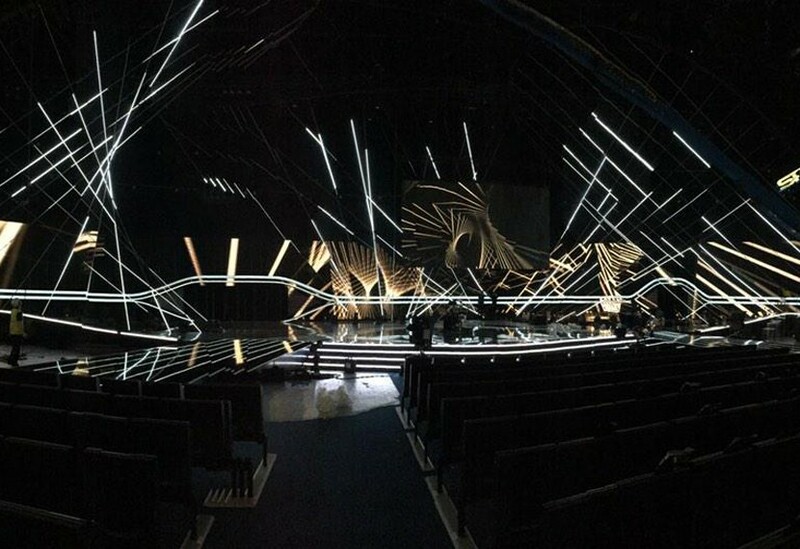 This is the third year we’ve built the set for this high-profile show. 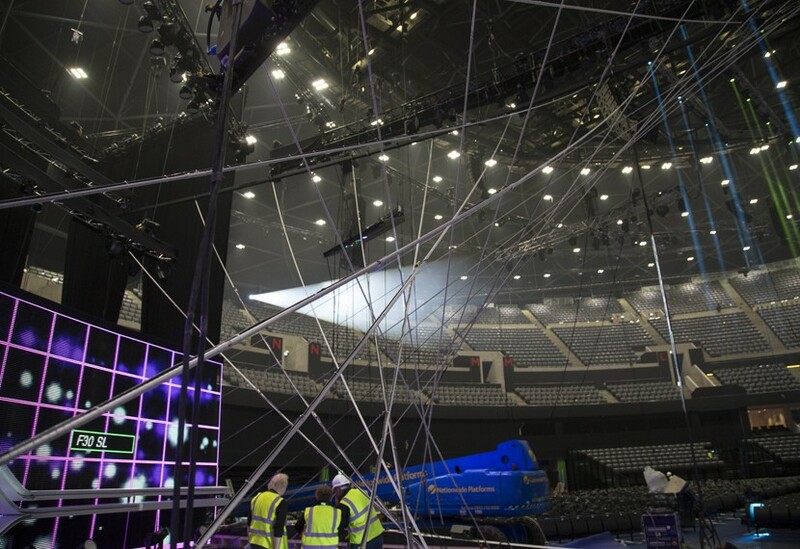 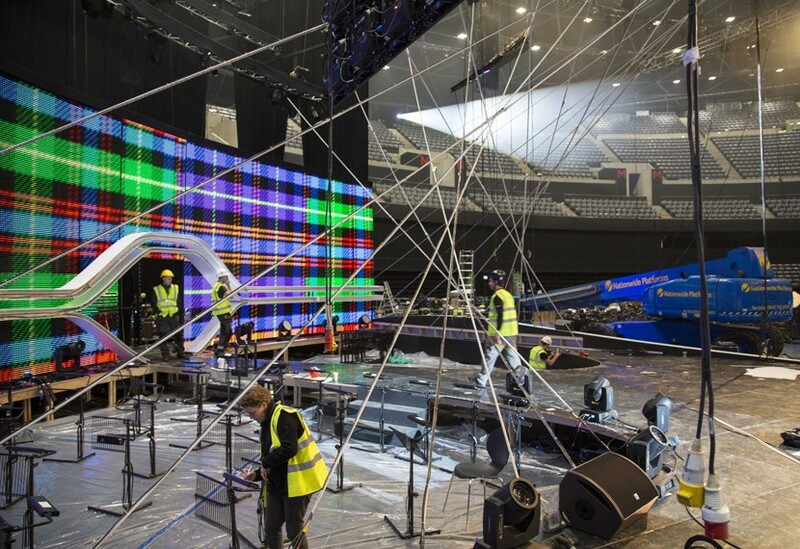 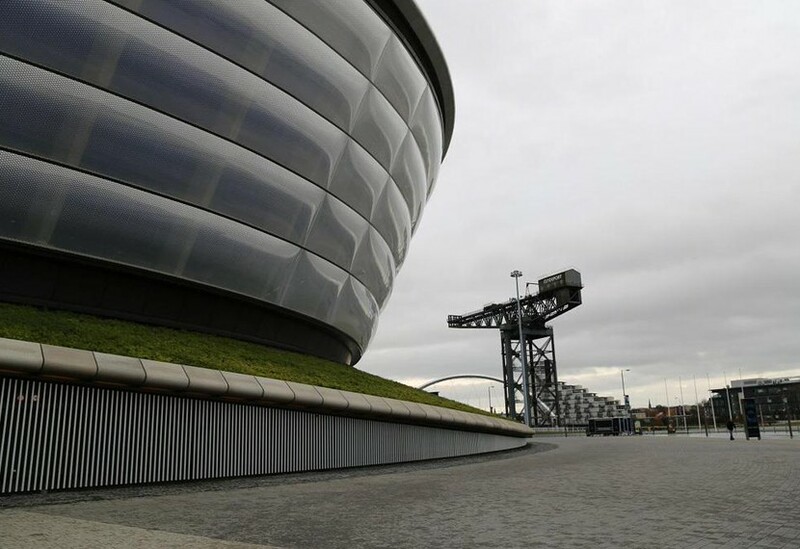 Working in collaboration with Rudi Thackray, we built the 50m wide 20m deep stage and ramped walkways complete with internal lighting and large sculptural features created from wire rope. 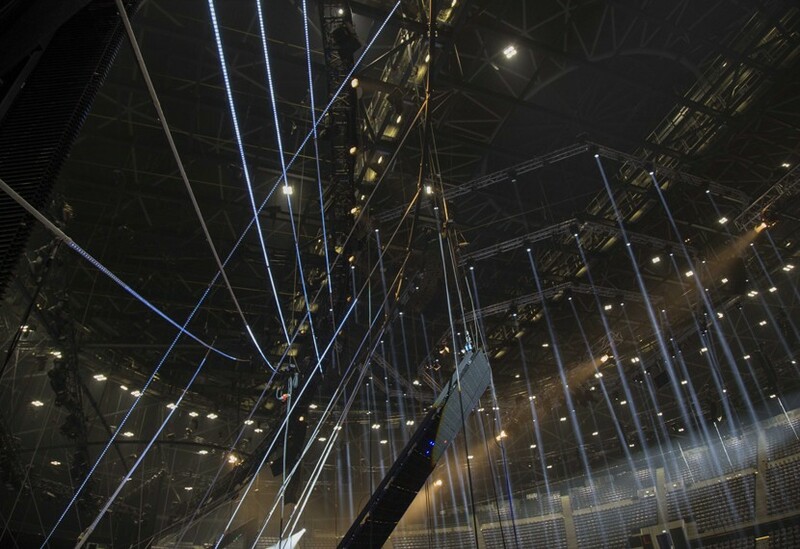 These wire rope forms spanned the stage, evoking the strained sinews of great sporting achievement. 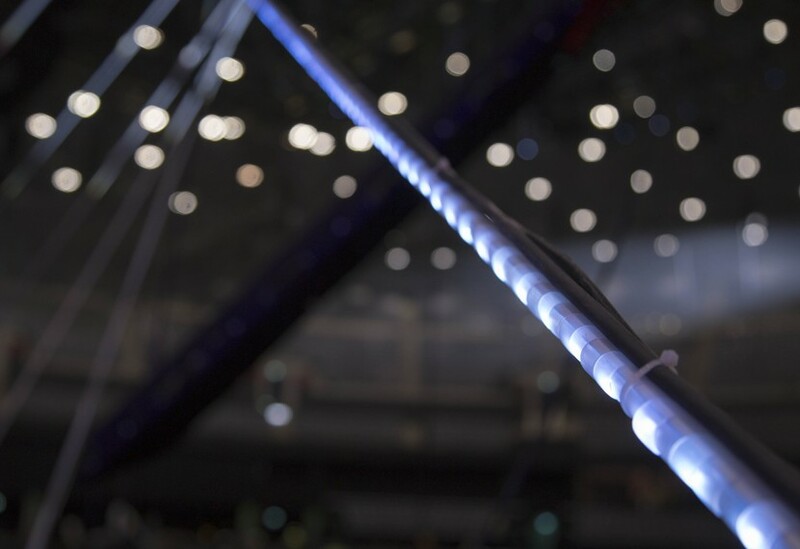 A total of sixty 30m ropes were suspended in three clusters, all required precise tensioning, rigging and fixing to ensure that they held their shape. 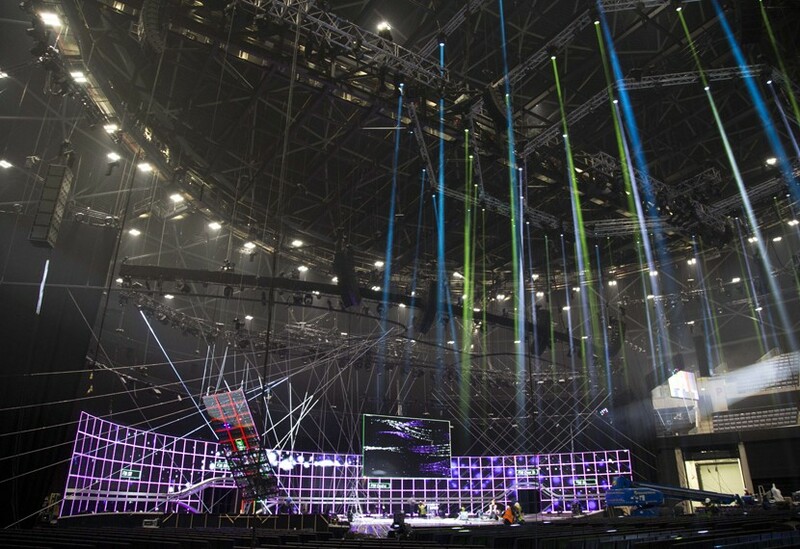 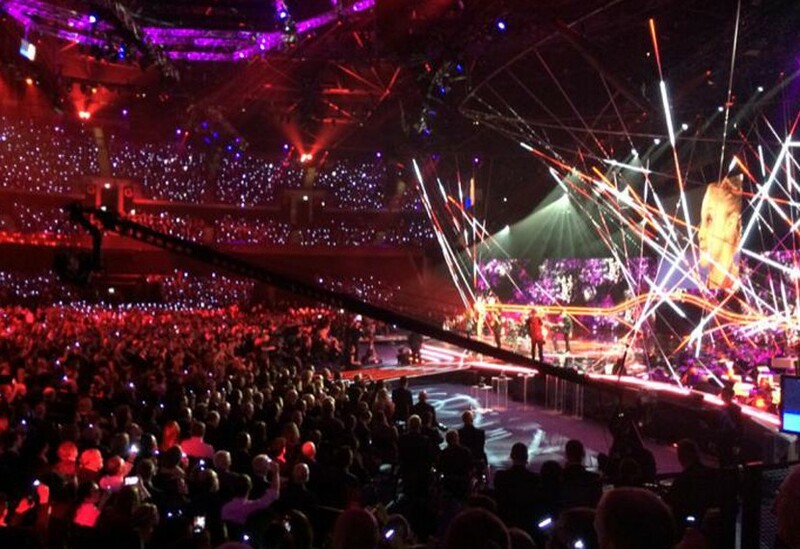 The full length of each rope was covered in LEDs, creating striking and dynamic features across the venue. 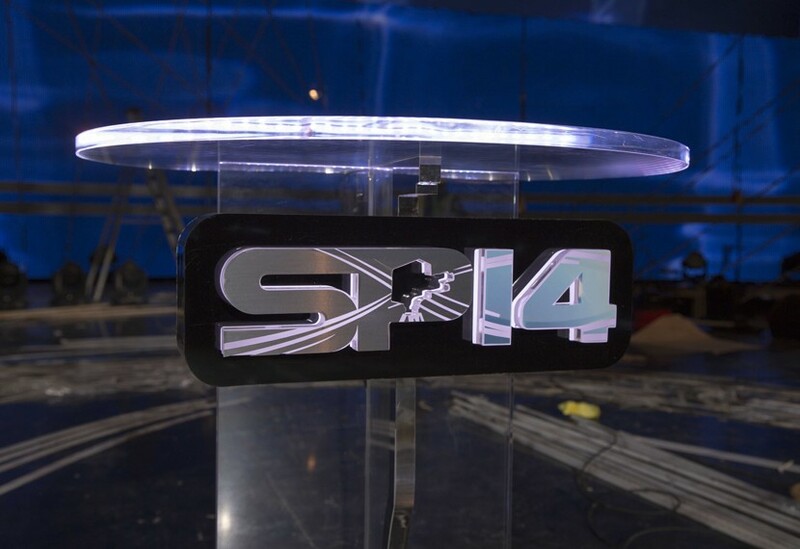 We provided a number of additional finishes and items such as the main lectern and graphics.